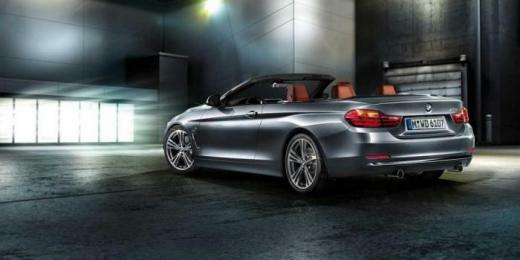 OK, this is an artist's rendering of the 4 series cabrio, but you get the idea. As a quick reminder, the BMW 4 Series is replacing the old 3 Series coupe; it will go on sale in the U.S. from $41,425 for the cheapest 428i version, while the 435i xDrive will set you back $48,925. The 4 Series will eventually give birth to a convertible version, probably by next year; by early 2015, the 4 Series Gran Coupé is expected to hit the market. The 4 Series is available for now, in two versions, the 428i and the 435i, with the first one getting a 2.0 liter four-cylinder engine with 240 bhp, while the more expensive variant will receive a 3.0 liter unit under its hood with 306 bhp.